Divorce is a rarely a simple action. It is the dissolution of the legal and property rights inherent in a marriage. It can also be the separation and split of a family unit, and the decisions that must be made about children’s welfare, schooling, medical decisions, and custody. At The law Offices of Bell & White we understand that nobody ever expects to end up with problems like divorce when making plans for a happy life, but sometimes these issues cannot be avoided. When you need legal advice and guidance to resolve sensitive family issues, you deserve personalized attention focused on your individual needs and rights. 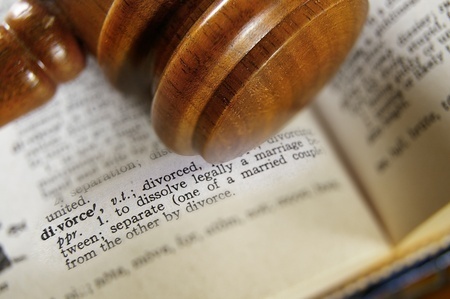 When you hire us to resolve your divorce, family law problems, we will take the time to get to know you and learn the details of your case so that we can formulate the best strategy to get the results you want. We will keep you fully informed of all developments in your case, as well as of your options and likelihood of success, so that you can make educated decisions that protect your future. For more information or to schedule an appointment with an experienced divorce lawyer at Bell & White email or call us today White: 210-374-6292 | Bell: 210-584-8538 | Del Rio: 830-212-7382.